American International Group (AIG - Get Report) , the giant insurance company, SunOpta (STKL - Get Report) , a multinational food and minerals business, and drug company DepoMed (DEPO have all made moves to cut the average age of their board membership by installing directors in their 30s over the last year. Not coincidentally, the new directors are not only by far the youngest on their respective boards, but they also work for the activist fund managers who helped put them there. DepoMed tapped Starboard Value's Gavin Molinelli, 33, for its board in March. Brendan Springstubb, 33, a principal at activist fund Engaged Capital, got a board seat at SunOpta in October. And Samuel Merksamer, 37, a former manager with billionaire raider-turned-activist Carl Icahn, became a director last May at AIG as part of a settlement deal. They are part of a trend of young managers at activist funds getting brought on corporate boards, either in director-election battles or collaborative settlement agreements. "The principals [at activist funds] tend to be young and the people who work for them tend to be even younger," said Joe Mills, founding partner at solicitor Saratoga Proxy Consulting in New York. Mills said he's not surprised that activist portfolio managers are often the youngest directors on corporate boards. A study of the top 14 activist funds produced by relationship mapping service BoardEx, a service of TheStreet, reveals that the youngest board nominees put up by activists are almost always their own internal managers. Overall, BoardEx shows, the ages of director candidates put up by activists vary widely. However, older candidates are typically outside experts, including ex-C-suite officials, activists find to complement their insider director nominees. Activist funds nominated 107 director candidates between 2016 and 2017 so far and the nominees' ages ranged from 32 to 74, with most candidates and directors in their 40s, 50s and 60s, according to BoardEx. However, a review of the data also showed that the youngest director nominees, like Springstubb, emerged from the activist funds themselves. A similar look by BoardEx at the same fund managers over a longer time frame revealed the same trend. Over the past few years, activists nominated hundreds of director candidates, with the youngest typically being employed at insurgent funds. At SunOpta, Engaged's Springstubb was installed along with two other directors as part of a settlement that also included an $85 million investment infusion from asset manager Oaktree Capital. As part of the deal, SunOpta also brought on Albert Bolles, 59, an ex-executive at ConAgra Foods and Dean Hollis, an Oaktree adviser and chairman of AdvancePierre Foods Holdings Inc.
Springstubb said he was brought on in a "very collaborative situation" -- and that today he brings a different but necessary shareholder-focused point of view to the boardroom. That expertise includes knowledge about CEO pay matters, investor communications and capital allocation issues that other board members don't usually bring to the table. "The typical director doesn't read too many proxy statements, while an analyst at an activist fund reads hundreds of proxy statements and the associated executive compensation disclosures, so when we speak on those topics we have a degree of expertise that other directors may not have," he said. Nevertheless, Springstubb is between 20 and almost 30 years younger than the other SunOpta directors, who range in ages from 53 to 61. Mills, who advises both companies and activists, points out that an insurgent portfolio manager who finds himself with a seat on a corporate board is often the one that generated the fund's strategy with that investment. "He's the guy that follows a particular investment for a fund," Mills said. One activist manager at a major fund that requested anonymity noted that the investment firm he works for makes allocation decisions collaboratively. However, he added that there is one manager, usually a younger principal like himself, who subsequently does the "heavy lifting" of following the stock and producing primary internal research for it. It is that person, he said, who usually gets a board seat down the road if the two sides can agree. And boardroom meetings involving young activists board members and older directors can be interesting. "Having an activist director on a board who is much younger may be awkward at times," Mills said. "I was in a board dinner once where there was a twenty-something activist-backed director participating who had barely begun shaving." In many cases, younger analysts at fund never make it on corporate boards. Thirty-something dissident nominees can face criticism over their age and lack of experience, especially when the two sides are locked in heated boardroom battles. For example, Springstubb had a less-than-enthusiastic reception from Benchmark Electronics (BHE) when he was put up as a candidate on a slate of dissident nominees for the board. The electronics company focused on Springstubb's age, arguing that he had "no relevant industry, operating or management experience" and was "not qualified to be" a public company director. Engaged succeeded at getting two directors onto Benchmark's board, not including Springstubb, and the fund ultimately succeeded at driving the company into making some of share-price-improving changes. For his part, Springstubb contends that he did have director experience of sorts, even prior to joining Engaged Capital. The activist fund manager points out that he worked with Ralph Whitworth, the godfather of activist investing, at Relational Investors between 2005 and 2013. During that time he attended many board meetings, experience that helped prepare him for getting his own board seat at SunOpta. "When Ralph was on the board of Genzyme or Sprint, the team would help him get prepared for the meeting. Occasionally I or other managers would attend meetings with him," Springstubb said. In addition, Springstubb, like many other activists in similar situations, brings significant resources to the table in the form of a team of analysts back at the fund, who provide valuable research and background. That's in contrast to many other directors on U.S. boards who may have a wealth of experience of their own but they don't have a team providing additional help. Beyond Springstubb, pretty much every other major activist fund has a young portfolio manager that is getting on corporate boards following an insurgency campaign. 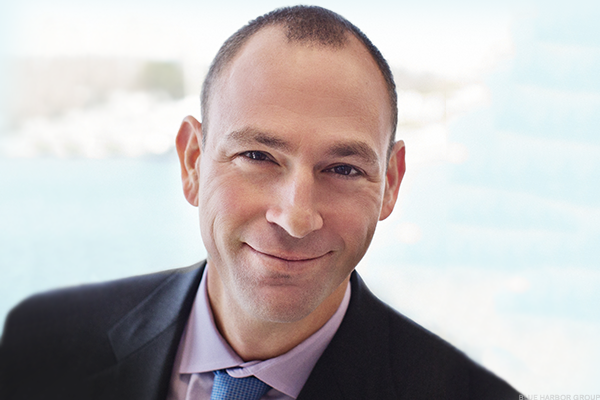 Consider Elliott Management's tech expert and head of U.S. equity activism, Jesse Cohn, 37. The activist manager is currently on two public company boards, Citrix Systems Inc. (CTXS) and Logmeln Inc. (LOGM), and four private boards, Ark Data Centers Ltd., MSC Software Corp., SonicWall and E2open LLC, according to BoardEx. Cohn, for example, is the youngest director on Citrix's board, which otherwise ranges in ages from 56 to 67. Merksamer, a former portfolio manager at Icahn Capital, is on five public company boards, including AIG, Hertz Global Holdings (HTZ - Get Report) , Cheniere Energy (LNG - Get Report) , Transocean (RIG - Get Report) and Navistar International (NAV - Get Report) . At AIG, for example, Merksamer was installed in a settlement between Icahn and the blockbuster insurer after the billionaire raider turned activist launched a campaign seeking to break the company into three businesses. Merksamer, no surprise here, is the youngest director on AIG's 15-person board, which recently installed a new CEO that Icahn said he supports. And another fund, Blue Harbour which engages only in collaborative behind-the-scenes activism at companies, has a number of young fund managers, some of which are on corporate boards. This March Peter Carlin, 44, a Blue Harbour manager, was put on the board of Investors Bancorp (ISBC - Get Report) , a large holding for the investment firm. Carlin, the lead manager at Blue Harbour focused on the investment, is also the youngest director at the bank, where other board member ages' range from 52 to 74. In addition, Blue Harbour managing director Robb LeMasters, 39, received a board seat on BWX Technologies (BWXT - Get Report) , in 2015, at age 37, after it was spun off from Babcock & Wilcox. LeMasters has been the lead partner at Blue Harbour on the Babcock investment and continues to be the top manager at the fund focused on the investment. In 2014, at the annual IMN Active-Passive Investor Summit, Blue Harbour urged Babcock to split in two, which it ultimately did in a big win for shareholders. At BWX, LeMasters is the youngest director by far, with other board member ages ranging from 57 to 73. LeMasters is also on BWX's compensation committee, where he likely brings Blue Harbour's shareholder-focused approach to CEO pay plans. At Starboard Value, another prominent activist fund, Peter Feld, 38, has been getting on boards for years as part of dissident director contests. In addition, Starboard's Molinelli, 33, was installed on the board of DepoMed in March. He joined the board of Wausau Paper in in 2014, putting Starboard firmly in control of the tissue paper company. By 2015, Wausau Paper was acquired by Svenska Cellulosa in a $513 million deal. 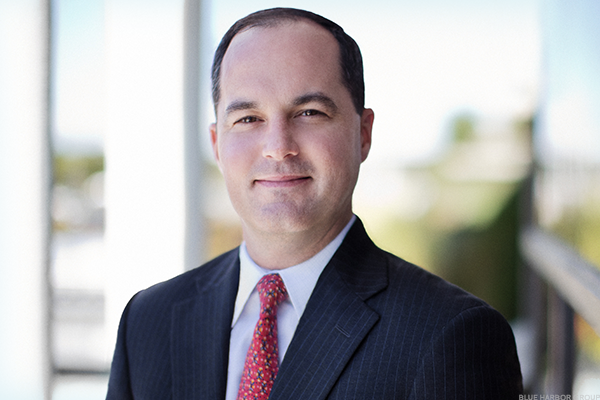 And Jacob Welch, a partner at activist ValueAct Holdings, 32, joined the board of Armstrong Flooring (AFI - Get Report) last year. Robert Hale, another ValueAct partner, 33, is on Valeant Pharmaceuticals International's (VRX board. He had previously served on MSCI's (MSCI - Get Report) board. In addition to seeking to install their younger portfolio managers, activists are increasingly finding experienced outside director candidates with a track record of business successes to nominate. The supply of potential directors who are older and well-qualified but also willing to be nominated by an activist fund has increased in recent years, making it easier for insurgent managers to find potential candidates. It is because of these candidates, who are often in their 50s and 60s, that insurgent managers are succeeding lately at shaking up boards. "They might have one person from the fund but they are also putting experts that are more seasoned and have industry experience," Mills said. "In the past you would have a dissident run a proxy fight with a bunch of staffers as nominees. Now the bar has been raised and activist must put forth director candidates who offer value-added experience." Planning to be in New York on Tuesday, June 13? You're invited to join us for an evening of cocktails and conversation with three dynamic young CEOs whose companies have found big news audiences and good markets. How have they done it? What have they learned? Meet Chris Altchek, CEO and co-founder of Mic; Shafqat Islam, co-founder and CEO of NewsCred; and Kathryn Minshew, the CEO and co-founder of TheMuse. Our panel discussion will be led by Ken Doctor, media analyst and columnist for TheStreet. The event, from 6 to 8 p.m. is free, but space is limited and reservations are required. Please click here to RSVP and get more information.